Discover Your Inclusive Leadership Potential! Nine Participatory Action Researchers sharing leadership! 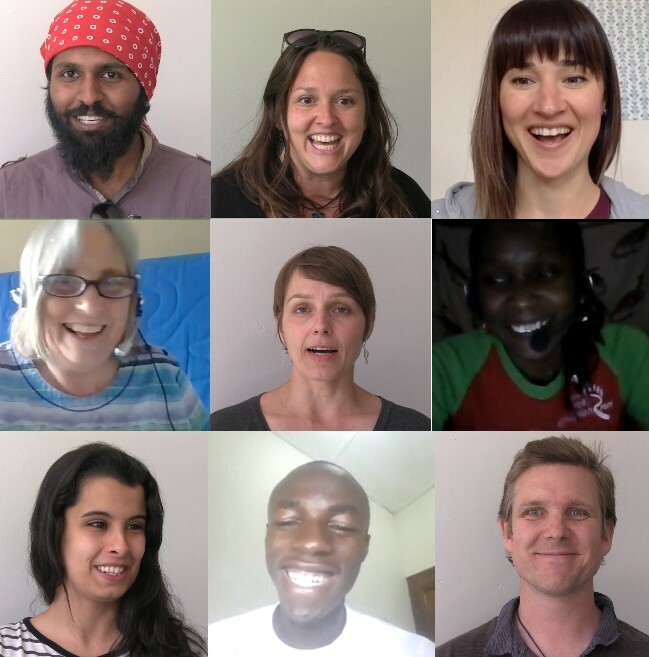 It has been such a joy-filled and satisfying experience to team up with a couple of dozen Inclusive Leaders for a year of Participatory Action Research into how to offer Inclusive Leadership Online. Here is a big shout out of thanks to everyone involved in the Inclusive Leadership Online Committee, the IL Practice Group, and the recent video interviews. One of the outcomes of all this research is that our introductory online course for students, professionals, volunteers and leaders everywhere will make it’s debut this fall. I invite you to watch this video, and then go to our Inclusive Leadership for our Global Village Online Course Platform to read the description and curriculum outline for this course and for the Inclusive Leadership Practice Group. Registration for both Inclusive Leadership Online offerings will open in September. We hope you will consider signing up and we hope you will encourage your colleagues, co-workers, volunteers, students, and friends in other communities to take these courses too. Everyone who gets involved in the first “Discover Your Inclusive Leadership Potential” will be both a student AND a Participatory Action Researcher! With your participation and feedback, we will gradually develop a series of interactive, online Inclusive Leadership courses enhanced by live video gatherings. We hope that Inclusive Leadership Online will quickly become a lively, vibrant mutual mentoring hub for authentic Inclusive Leaders who are connecting across time, space and diversity with other caring and courageous Inclusive Leaders around the world. This entry was posted in Inclusive Bridge Building, Inclusive Leader Campaign, Inclusive Leaders in Action, Inclusive Leadership skills, Networking on July 26, 2017 by lindadianahill.